The focus of my laboratory is to understand and manipulate the behavior of pluripotent and somatic stem cells to understand mechanisms of human disease and develop novel therapeutics. Our research utilizes systems biology to tease apart cell behavior and pathophysiology. We often use pluripotent embryonic stem cells (ESCs) as a model stem cell system because they are easier to grow and manipulate in culture than somatic stem cells. In fact, pluripotent stem cells have become the “new yeast”, enabling researchers to analyze mammalian development at the transcriptome (mRNA & miRNA), proteome, methylome, etc. systems level. Of course, yeast do not encode miRNA so this is a critical difference supporting the use of human ESC research. Importantly, we are now combining these systems approaches to study human disease using induced pluripotent stem cells (iPSCs). We believe such a systems genetics strategy will identify novel therapeutic targets and therapeutics for many diseases including cancer. This work complements our previous endeavors, which focused extensively on using the mouse as a model for human disease and generated novel gene trap vectors and a resource of more than 23,000 sequence annotated gene trap mouse embryonic stem cell lines that represents mutations in more than 4500 unique genes as well as numerous targeted clones as part of the CMHD and NorCOMM resources. This resource is freely available to academic researchers as part of the international mouse knockout project. Dr. William (Bill) L. Stanford, PhD, is a Senior Scientist at the Sprott Centre for Stem Cell Research at the Ottawa Hospital Research Institute, a Full Professor in the Department of Cellular and Molecular Medicine at the University of Ottawa and holder of a Tier 1 Canada Research Chair in Integrative Stem Cell Biology. Dr. Stanford is trained as a chemist, holding a Bachelor’s degree in Chemistry from Duke University and as an Immunologist, holding a PhD from the University of North Carolina at Chapel Hill. The overall goal of Dr. Stanford’s research is to understand the factors that control stem cell function and apply this knowledge to improve human health. Specifically, Dr. Stanford’s laboratory uses systems biology approaches to understand how the proteins, miRNAs, epigenetic marks, etc within in a stem cell combine with other factors to determine that cell’s fate. Furthermore, Dr. Stanford has contributed to the development of genetic reprogramming techniques that can be used to turn normal adult human cells, such as blood cells, into l induced pluripotent stem cells (iPSCs). These iPSCs can then be grown in the laboratory, and coaxed into giving rise to all of the specialized cell types that make up the human body. Dr. Stanford is interested in using iPSCs to model diseases such as cardiovascular disease, cancer and arthritis, and also develop new targeted and regenerative therapies. 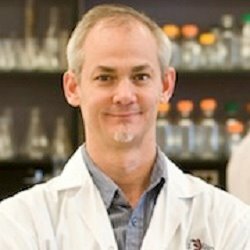 Dr. Stanford is Lead Scientist of the Cell Reprogramming Platform of the Centre for Commercialization of Regenerative Medicine and the Director of Gene Trap Mutagenesis in the Centre for Modeling Human Diseases. Prior to moving to the Ottawa Hospital Research Institute in 2011, Dr. Stanford was an Assistant (2002-2007), Associate (2007-2009) and Full Professor (2009-2011) at the University of Toronto in the Institute of Biomaterials & Biomedical Engineering. He still holds an appointment at the University of Toronto. Furthermore, Dr. Stanford was a Visiting Scientist at the Institute for Systems Biology (Seattle, Washington) in 2009-2010. He is currently an Adjunct Member of the Institute for Systems Biology (Seattle, Washington). Dr. Stanford’s interdisciplinary research has been published in most of the top journals according to impact factor and standing within the journal subject category (Cell, Science, Nature, Cell Stem Cell, PNAS, Nature Rev, Nat Genet). Having been cited about 9500 times, Dr. Stanford is considered to be in the top 1-2% of cited researchers. Copyright 2011 Ottawa Hospital Research Institute. All rights reserved.